All the different types of Espagnolette locking bolts are listed below, if there is anymore information you require please contact the office and speak to a customer service representative. Dual action cams – ensuring the sash closes evenly and securely. The Maco R.A.I.L Reverse Action Espagnolette offers BS7950 levels of security without the requirement to fit shootbolts. The reverse action operation pulls the locking cams together, clamping them into both sides of the striker plate for strength and security. With no cropping or extensions required fabrication is fast and simple. Available in 22mm backset with 7.7mm high adjustable mushroom cams. Tested to the enhanced security requirements of BS7950 on major profiles. Using acidic timbers or installing windows near the coast? Enter Maco Tricoat. The revolutionary MACO TRICOAT finish is a high performance surface coating, providing outstanding features for use in high saline environments such as coastal locations or in situations likely to be affected by chemical corrosion i.e. acidic timbers. The finely constructed surface is extremely resistant to corrosion and scratching and repels water and dirt. Salt Spray Corrosion Tested – achieved 1000 hours in BS EN 1670:2007-06 Salt Spray Test. Cycle tested to 50,000 cycles – double the BBA test requirement. As a conclusion of the BBA independent test, they gave a life expectancy of 25 years. Tricoat meets and exceeds BS EN 1670 2007 class 5: 480 hours. 10 year guarantee in acidic timers such as Accoya / Oak. Available in 22mm backset with either 7.7mm or 9mm high adjustable mushroom cams. The revolutionary MACO TRICOAT surface provides outstanding features for use in regions with high saline air and areas affected by increased chemical attacks . It has achieved the highest performance when salt spray fog tested in accordance with DIN 50021-SS. Furthermore MACO TRICOAT provides high resistance to chemical attacks from acids and alkaline solutions. The finely structured surface is extremely resistant to corrosion and scratching and repels water and dirt. Performance when salt spray tested to DIN 50021-SS: 600 hours with a proportion of max 5% white rust 1,000 with a proportion of max 5% red rust. Please note: the 9mm Cam version is a non-stock item and will have a longer lead time, they must also be purchased in a box quantity of 10. The EBB Espagnolette bolt is one of the latest developments in timber window security. Featuring an ultra smooth 22mm backset gearbox and opposing action adjustable 7mm mushroom cams for maximum strength, exceeding the requirements of BS 7950: 1997 by 50%. Corrosion resistant to BS EN 1670: 2007 Grade 4. 10 Year warranty as standard plus House Insurance excess compensation in the unlikely event of a successful forced entry. Available in lengths from 350 - 1200mm. The EBB has been designed for rapid installation in the window eurogroove and no assembly or cropping is required. Each locking point consists of two mushroom cams pulling bi-directionally towards each other in a claw-like effect. Yale Rapide is the revolutionary new window lock. 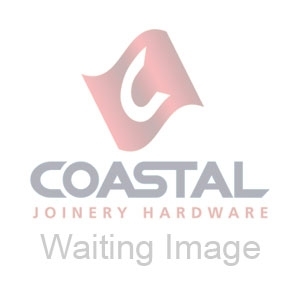 Redefining expectations of performance and delivering additional new benefits to joiners, installers and clients, whilst still delivering the peace of mind expected from Coastal. Delivering improved efficiency in manufacturing, higher tolerances and reduced call backs, as well as incredibly smooth operation and no loss of weatherproofing performance - ever, Yale Rapide is established as the lock that has reset the bar for window hardware performance. Yale Rapide offers greater lock engagement for additional security as it connects along the full length of the keep. And, unlike other window locks, Yale Rapide's aluminium channel uses the full depth of the eurogroove to enhance the strength of the window. This means some systems can reach PAS24 without the need for additional re-enforcement. Tested to BS EN 1670 Grade 4 (240 hours NSS) and endurance tested to 30,000 cycles, Yale Rapide comes with all the assurance you would expect. Exceeding PAS24 requirements, the lock also comes with Secured by Design accreditation. Yale Rapide even comes with Yale’s 12 year mechanical guarantee for complete peace of mind. Previously known as the Yale Blade.